Remember the Carrier IQ pandemonium and how wireless carriers were accused of snooping on us? Yeah, good thing that the controversial piece of software turned out to be less harmful than initially thought. After all, nobody likes having their personal data being secretly accessed by someone else. If the user is aware of such intervention, however, and if they are even getting rewarded for cooperating, then that's a whole different story. Verizon Selects is a newly announced initiative that will analyze a subscriber's behavior by logging their location, web browsing statistics and usage of mobile data. Note that users won't be signed up automatically – instead, those who wish to join have to opt-in manually. In exchange, participating users will receive "a coupon or some other form of reward, most likely from a popular retailer". However, they will also be receiving ads – advertisements that the carrier finds suitable, based on the statistical data collected about the particular subscriber. These ads may be sent in the form of an email, text message, mobile ad, or even the plain old postal mail. 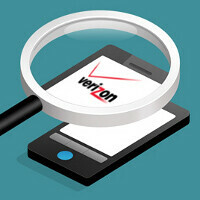 Verizon clarifies that it will not share information revealing user identity to third parties. And that, in a nutshell, is what Verizon Selects is – a way for the carrier to analyze how subscribers use their mobile devices so that advertisers can target them with the right ads. What do you think about the whole idea, and is anyone willing to join? Let us know down in the comments! The fact that they're going to give the customers something in compensation is a good incentive, however we don't know the specifics of the compensation. If it's a discount off the bill then I would sign up for it but I doubt that will happen. I'd be interested in this, if the pay-out is worth it... I have 4 phones on my acct, I'm sure I could rack-up the rewards quickly. Not me I don't want Verizon or anyone else poking there nose in my business. It's called respect and privacy. Exactly. They're raking in record profits but they still need to nickel and dime their customers. Now they're trying to squeeze blood from a penny. Each day of this brings me closer and closer to another carrier. I think that it could be a good Idea if it is done right. If users could opt in for a specified closed-ended amount of time, with an option to re-enlist, be given a just compensation for their data, and opting for ads could mean more compensation, then I think, under this basic framework, it could work. I also think that the data should be protected from intrusion by companies, employees, nosy parents, and, of course, the government. If the data is sold, I would want to have the final say in what is sold, to whom, and I expect to get a cut. Also, I think that there should be no negative consequences related to what they find (ex. when they would find I commit borderline treason regularly). The user should also be able to easily terminate the monitoring. Knowing Verizon, after 6-9 months, they will make you pay for the "service" and have it automatically enabled on all new devices forcing those who do not wish to be monitored to opt out instead of those who want it opting in. VZW HAS THEIR FACES IN MY WALLET. THAT'S ENOUGH! 500 EVERY QUARTER, MAYBE i SPREAD MY LEGS TO GET EFFED A LIL MORE BY BIG RED.